The word ‘agadir’ means fortress or place of collective storage in the southern Berber dialect of Tashelhiyt. As well as being the name of Morocco’s most famous beach resort, the word agadir is used by Berbers to describe their collective granaries which have been used for centuries to store wealth, crops and items of value such as important documents – in times of peace and plenty, siege and famine. There are important examples across the Souss region and in the High Atlas mountains. Read my article for Travel Exploration about The other Agadir here. This entry was posted in Moroccan Musings and tagged Agadir, Ait Bouguemez, blog, Morocco, travel on November 30, 2014 by lynn. In 2014, I was honoured this year to be selected as main author for the chapter on the Southern Atlantic Coast in the Fodor’s Guide to Morocco. The role entailed eating, sleeping, drinking in and exploring some of the best that the Essaouira, Agadir and Anti-Atlas regions have to offer. I am pleased to say that many of my recommendations for hotels, restaurants, bars, shops, nightlife and tourist attractions have made the online version of the Fodor’s guide to Morocco and I can’t wait to see them in print in Spring 2015. This entry was posted in Moroccan Musings and tagged Agadir, Anti Atlas, blog, Essaouira, Morocco, travel on November 13, 2014 by lynn. Imssouane is a sleepy fishing village on a peninsula between Essaouira and Agadir. It is about 100km from Essaouira, so almost halfway between the two. Even once you reach the turning off the north-south main coastal road, there is still quite a drive down to sea level, down to the tip of the peninsula. It is perhaps its relative inaccessibility that makes it a popular bolt-hole for Swiris (natives of Essaouira) who are sick of the madding crowds. It is certainly a very popular surfing spot. And it has a large, long, sandy swimming beach which is great for families and groups of friends. You can eat fish fresh off the boat (the port is smaller and even more accessible than that of Essaouira) and gaze out to sea. But short of swimming, surfing and eating fish, there isn’t a whole lot to do. 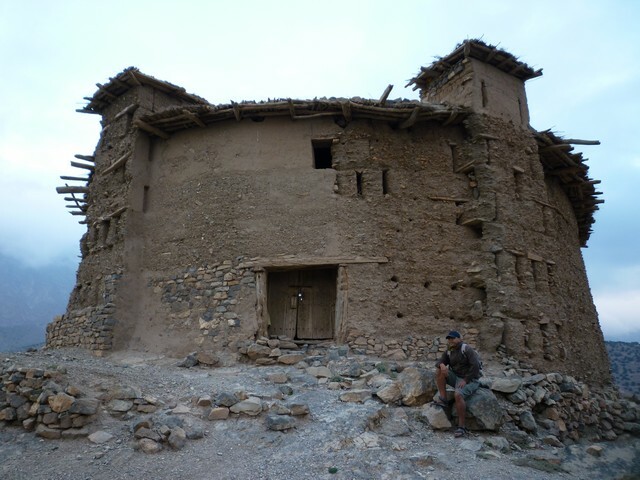 This entry was posted in Moroccan Musings and tagged Agadir, blog, Essaouira, Morocco, travel on January 27, 2013 by lynn. Agadir isn’t my favourite Moroccan city: it’s a strange combination of Costa del Sol-style tourist development and bustling Moroccan city. However, it is the gateway to the fertile Souss region and an intersection of the desert, the Anti Atlas and the Atlantic. As such, it’s an important transport and trade hub. It is also a major tourist destination. On a recent visit with a friend, we avoided the strip of package holiday hotels on the seafront and discovered that it is perfectly possible to pass an enjoyable day in Agadir without spending too much money at all. This entry was posted in Moroccan Musings and tagged Agadir, blog, Morocco, reviews, travel on December 23, 2012 by lynn. Getting from Agadir to Essaouira? Many low cost and charter flights from European hubs land in Agadir. Although slightly further from Essaouira than Marrakech by road, Agadir is a very viable airport for Essaouira and the drive (largely along the Atlantic coast) although windy and hilly, has great views of deserted beaches and Argan forests. Several such flights arrive late at night, so an overnight stay may be necessary (see below). There is no rail network in southern Morocco, so the options for travelling from Agadir to Essaouira are hire car, private transfer, public bus or collective ‘grand’ taxi. Depending on the length of your stay and the location of your accommodation in Essaouira, you probably won’t need a car when you get here (see the FAQ on getting around Essaouira), so this post focuses on the other transport options between the two cities. More and more buses are departing from Imezgane bus station, in a suburb of Agadir about 10km from the centre. I haven’t been, but apparently it’s busy and features all the worst aspects of bus stations and transient populations. Check which station is used by the company you will travel with. Back in November 2012, we took a bus back to Essaouira from the Massira bus station (which used to be the main one). It’s nearer the centre of town, well-organised and has a decent cafe. Most buses start in Imezgane and then pass through Massira, but potentially not all. The most reliable, best organised companies are CTM, Supratours and Pullmann – all sell you a reserved seat. You can call them all for info and CTM offer online booking. There are many other bus companies used by locals; these companies tend to be cheaper and as a result may be over-crowded, poorly maintained and the ticket price seems to vary (ie tourists pay more). They also tend to take longer as anyone can hop off or on anywhere. I would definitely recommend CTM, Supratours or Pullmann. Our bus was with the Pullman company and left at 20:30. When we travelled (Nov 2012), that was the latest departure for Essaouira – most of the other companies have a morning departure. It was a good bus: comfy and well-driven. Note: each of those three companies above stops in a different location in Essaouira, but none is far from the medina. Do not let anyone persuade you to take a bus via Marrakech to get to Essaouira – this will double your journey time and may mean a lengthy connection in Marrakech. The route from Agadir to Essaouira along the coast is direct and takes 3 hours (or maybe a bit more, depending on the length of the toilet/tea stop). Buses generally don’t have toilets and some people find the steep, winding coastal road disagrees with their stomach, so take travel sickness tablets if you are sensitive! You can get a grand taxi (big, often battered, old Mercedes) at any time of the day or night. This could be a good option for a group or if you have missed the buses. It will probably cost you as much as the bus per place and there are 6 places in the taxi, so it won’t be comfortable (unless all the other passengers are really skinny!!) unless you book several places (you can always hire the whole thing). The grand taxis park up in a square called ‘Batouar’ or Place Salaam. It is surrounded by 24 hour cafes if you need to refuel before the journey. The rates are fixed, although drivers might neglect to show you their rate card. Find one which is heading for Essaouira and haggle hard! Agadir grand taxis are white, Essaouira ones are blue. 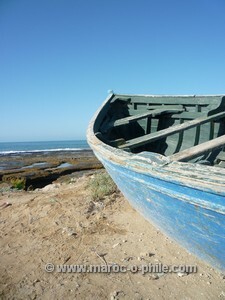 Either can take you once all places are sold, but an Essaouira taxi can only take you to Essaouira. NB: It is cheaper to take a ‘grand taxi’ to Imezgane to the bus station than a small one, but you might find it difficult to flag down the big taxi. Several major car hire companies (including Avis, Europcar and Hertz) have offices in Agadir and may offer airport pick-ups or drop-offs. If you arrive late in Agadir, my advice would be to get a good night’s sleep, and travel to Essaouira the next day. You can get good deals online in 3/4* package holiday hotels out of season. If the timetables allow, one option would be to get up early the next day, get a petit taxi (orange coloured car, negotiate for the driver to use the meter or give you a fixed price – 10-15dh should do) to Massira to get a bus ticket and leave any luggage. You should be able to reserve on the day of travel, but to be sure, you could reserve with CTM online in advance. You could then spend a morning admiring the beach in Agadir. A day in Agadir is enough in my opinion – the Souk El Had is also worth a visit and I’ve heard good things about the Berber/Amazigh museum. * Please note: schedules *may* change during Ramadan. Read these notes on travelling during Ramadan. 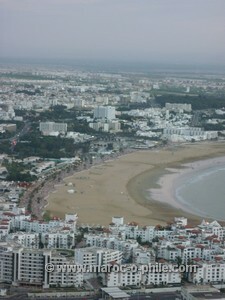 This entry was posted in FAQs and tagged Agadir, Essaouira, Morocco, travel on November 28, 2012 by lynn. Getting to Essaouira: fly to Marrakech or Agadir? Although Essaouira has an airport, it is presently not well served. (Ryanair flies to Marseilles; Transavia and Royal Air Maroc to Parisian airports. Easyjet starts a service to London Luton on 1 May 2015). As a result, many visitors to Essaouira fly in to either Marrakech and Agadir, which are well served by an ever-expanding range of budget and charter airlines. Your choice will depend on which airlines serve your local airport and what you want from a holiday. Essaouira is equidistant from Marrakech and Agadir, although at around 3 hours, the journey to/from Agadir takes a bit longer. Presuming you may spend a night or two in the city where you land, I would personally recommend spending some time on arrival in a riad (renovated townhouse B&B) in the medina of Marrakech for culture, history, shopping and fine dining followed by 2-3 days in Essaouira for chilling out by the beach, eating fresh fish and admiring the beautiful sunsets after the big city experience. It is also a great centre for watersports and golf, if you feel the need for physical activity! That kind of two-centre trip is ideal for a week’s break. If you were coming to Morocco for longer, you might consider a more varied itinerary and/or flying in to one airport and out of the other. By contrast, Agadir is a seaside resort on the Atlantic Coast with many family-oriented all-inclusive hotels and nightclubs for young (and not-so-young) Moroccans and tourists to let their hair down! Essaouira, on the other hand, is full of quirky guesthouses and is dominated by independent hotels to suit every budget. 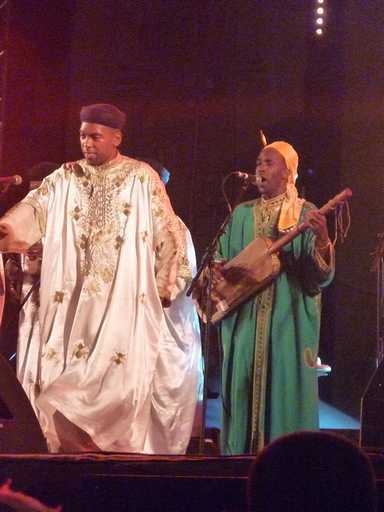 This entry was posted in FAQs and tagged Agadir, Essaouira, Marrakech, Morocco, travel on November 13, 2012 by lynn.